(New York, NY) – Shalini Vadhera, a renowned, award-winning global Beauty and lifestyle expert, founder and CEO of Power Beauty Living, and best-selling author of Passport To Beauty, proudly takes her Power Beauty Living brand global on February 29th, 2016 at the United Nations alongside IMPACT Leadership 21, for an exclusive VIP POWER UP Networking and Cocktail event. Shalini Vadhera, a renowned, award-winning global beauty and lifestyle expert, founder and CEO of Power Beauty Living, and best-selling author of Passport To Beauty, proudly takes her Power Beauty Living brand global on February 29th, 2016 at the United Nations alongside IMPACT Leadership 21, for an exclusive VIP POWER UP Networking and Cocktail event. 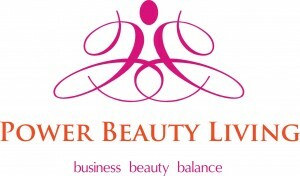 The post Award-Winning Global Entrepreneur Shalini Vadhera Takes Her Power Beauty Living Brand Global at the United Nations appeared first on iCrowdNewswire.